From measurements to colors to accessibility. Learn everything about your booth. Utility ports are located in the floors of the North, South, and Lakeside Center exhibit halls. These ports provide access to electrical, plumbing (water & drain), and natural gas. If your booth is not equipped with a utility port, access will be drawn from a neighboring exhibit or, if necessary, dropped from overhead. No port access will be allowed from the aisles. 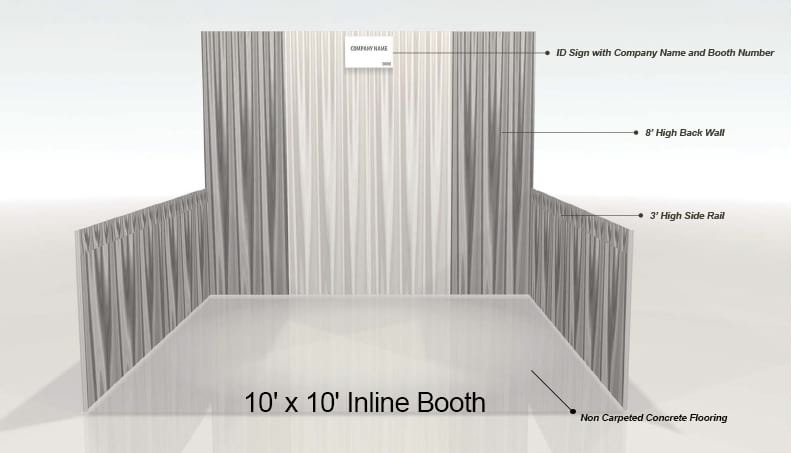 Review the design regulations for your booth. Island and peninsula floor plan designs must be approved. Floor plans are due to Show Management using our Floor Plan Submission form by March 1st for approval. Check the utility port floor plans or your booth confirmation to see if you are located near a Fire Hose cabinet.